•Includes Microcrystalline Cellulose, Magnesium Stearate, & Silicon dioxide. As we age naturally, our minds and memories may lose their sharpness. Taking a dietary supplement of A & C vitamins and other essential nutrients may support cognitive health, so your brain can function optimally. 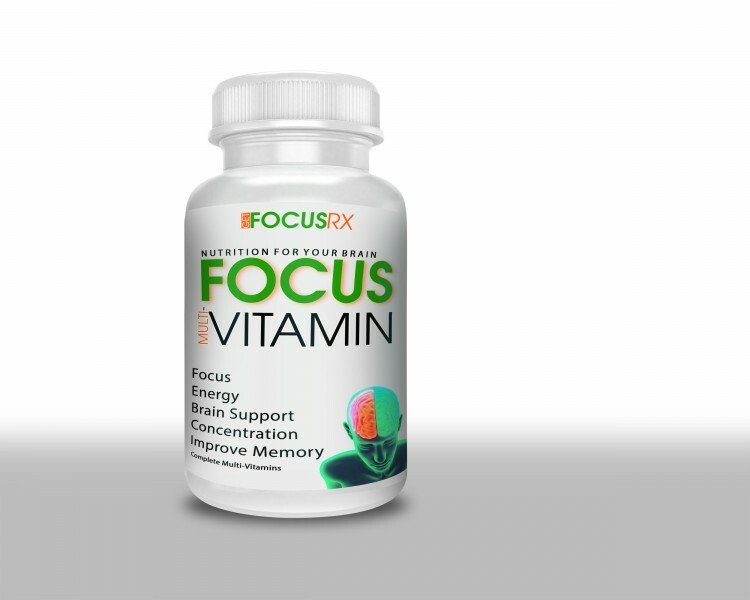 Order FOCUS® Vitamins from FOCUS RX, and see if it makes a difference to your complete brain health. Order now! WARNING: Do not use if pregnant, nursing or under the age of 18. Use only as directed. Do not exceed recommended amount. Consult with a health care practitioner before taking this or any dietary supplement, especially if you have or suspect you may have a medical condition, or are taking any medications, over-the-counter products, or other dietary supplements. Immediately discontinue use and consult your doctor if any adverse reactions occur. Do not use if tamper-resistant seal is broken. Do not exceed recommended amount. Not intended for use by persons under the age of 18 or by those with a serious medical condition. Do not use if pregnant or nursing. Please consult your physician before using this product. May cause dehydration, nausea and/or dizziness with inadequate water intake. Do not use if tamper resistant seal is broken.